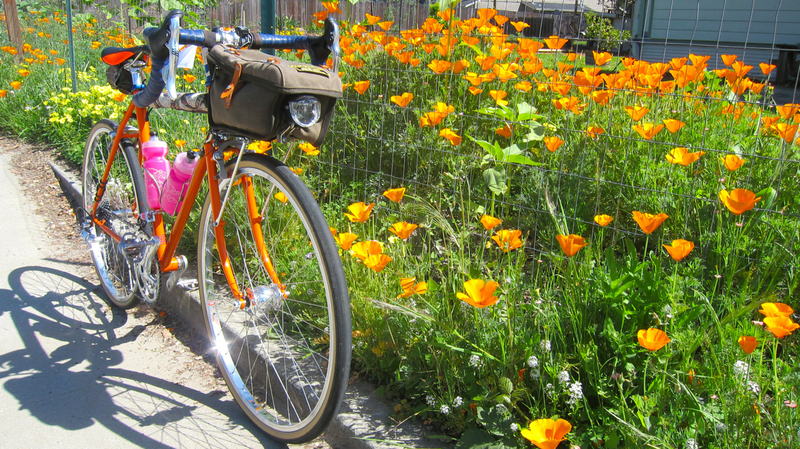 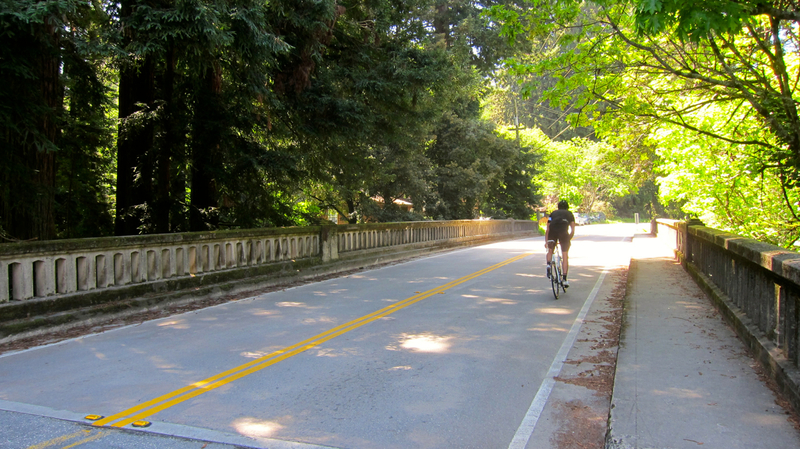 I love riding around Santa Cruz, as most of the roads are new to me; I think 90% of today’s 63-mile ride was heretofore unexplored territory. 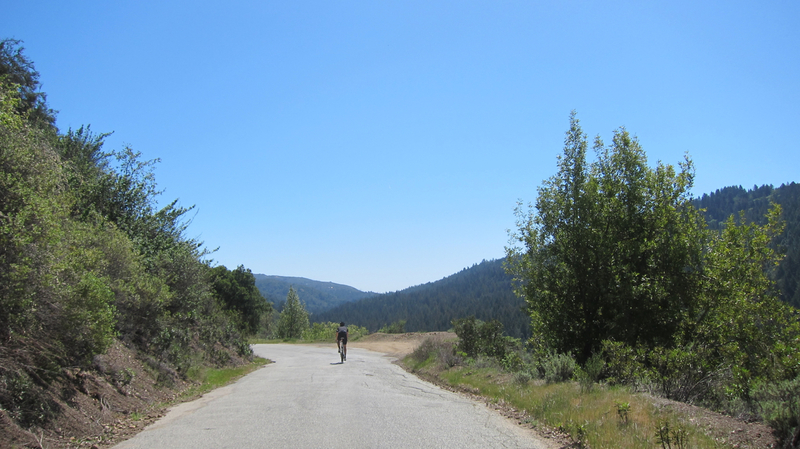 While TBO’s more familiar with the area as he lived here for several years, much of it was new to him as well as he’s only now getting around to checking out the vicinity by bike. 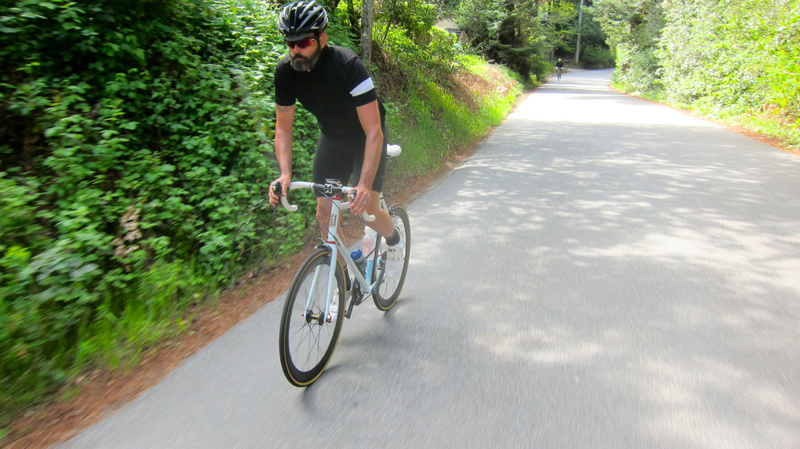 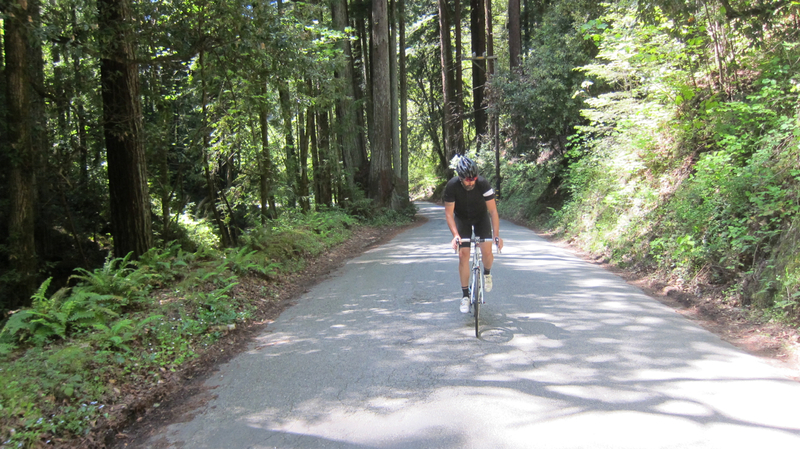 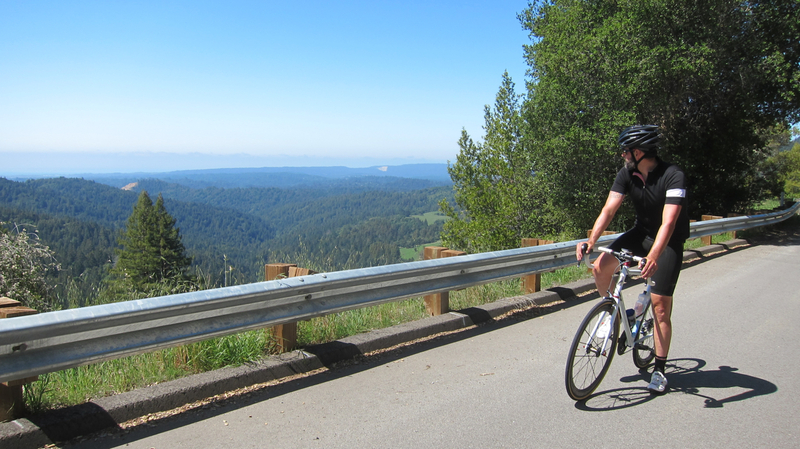 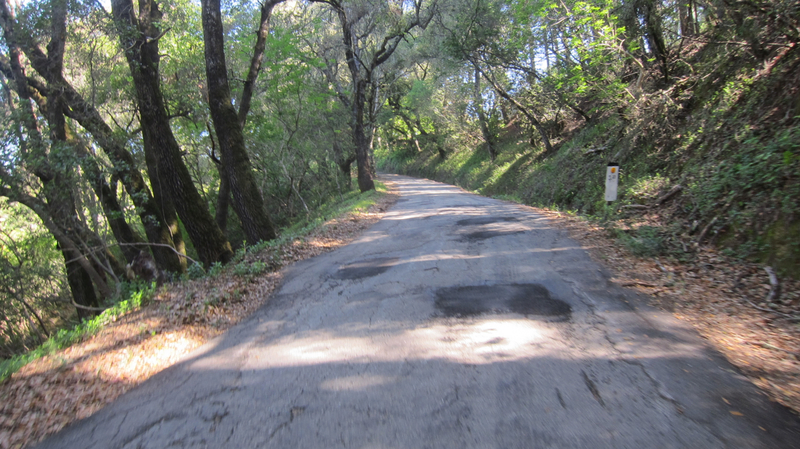 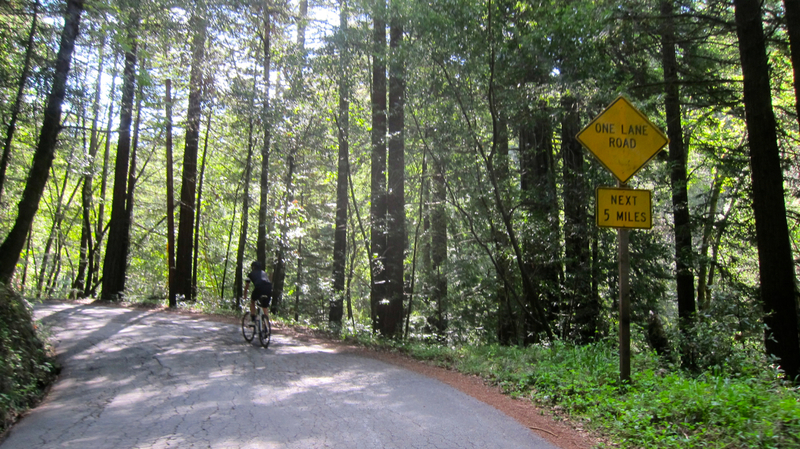 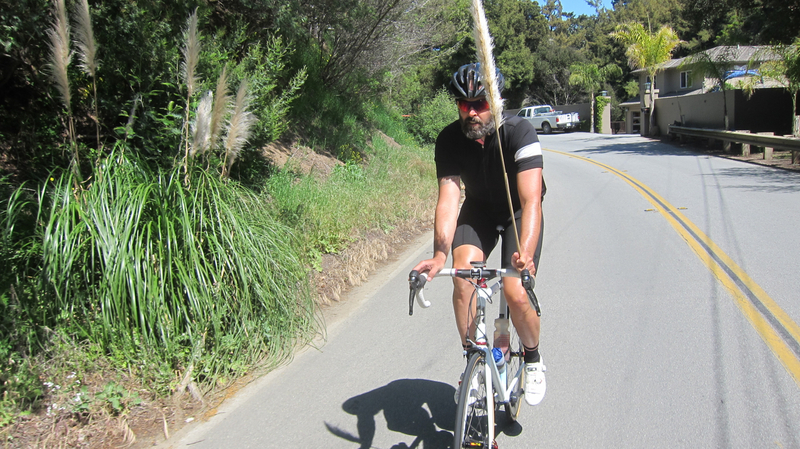 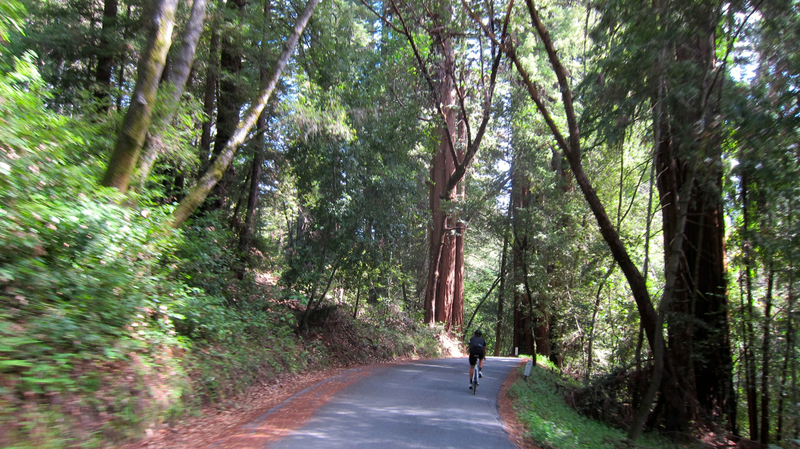 The permanent starts off with a helluva climb near Scotts Valley: Mt. 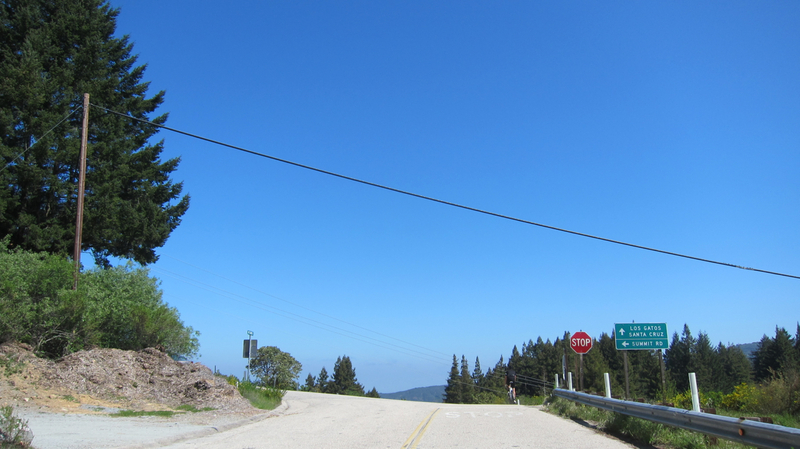 Charlie Road is a narrow, 5-mile road that’s rises up to about 2000 ft. above sea level at its highest point. 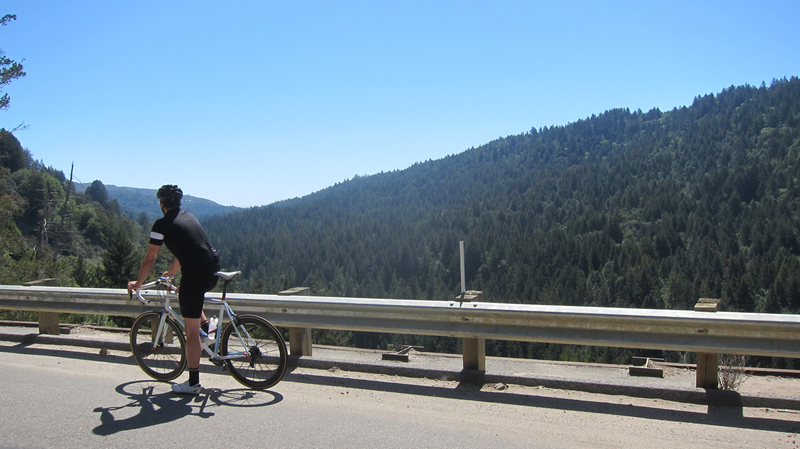 Just as we were embarking on our climb, a fellow cyclist rides up and says, “Hey, are you Jenny Oh? 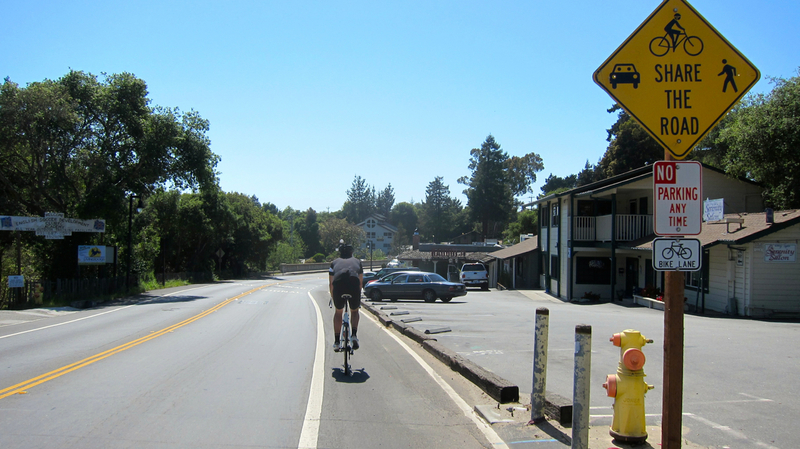 We know each other on Facebook!” Brij lives in Santa Cruz and is one of my online friends I’d yet to meet in real life until today! 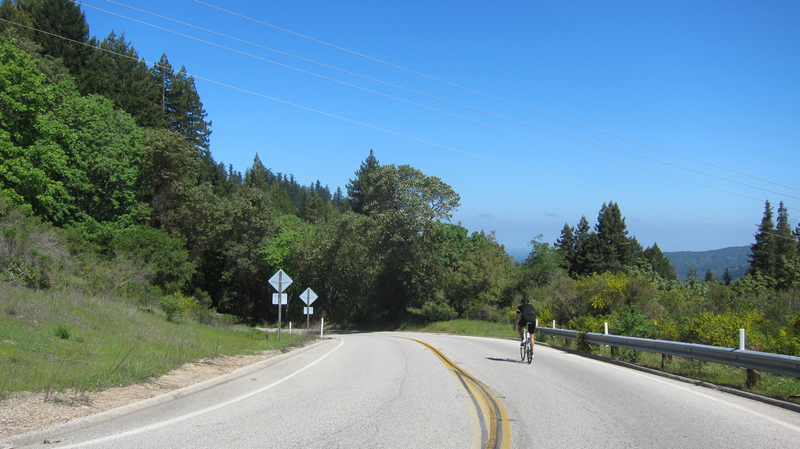 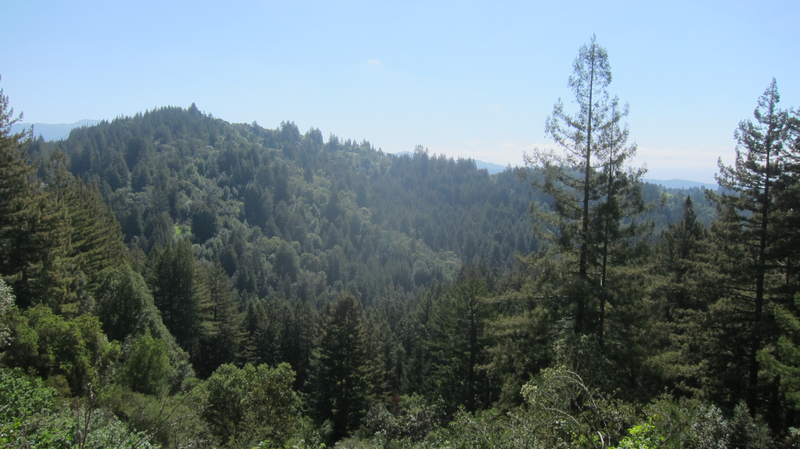 The other highlight of the ride was descending down Highland Way and Eureka Canyon Road, which afforded beautiful views of Soquel Demonstration State Forest (where mountain bikers like to shred off-road.) 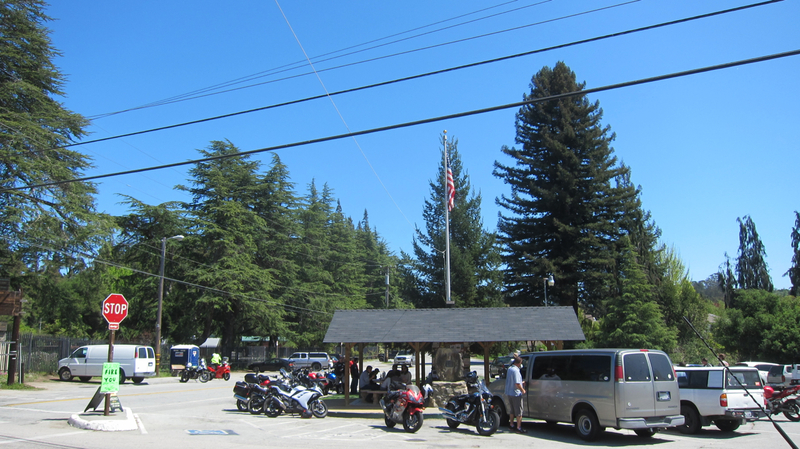 We continued our loop back to Scotts Valley through farmlands and redwood groves, with a quick stop in Corralitos for a sentimental snack. 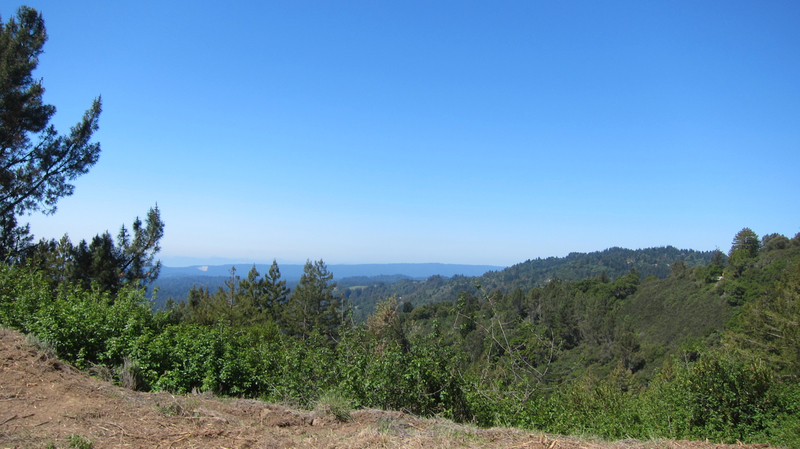 TBO used to go to the Corralitos Market with his late father; they’d butcher the cattle TBO and his family raised for beef. 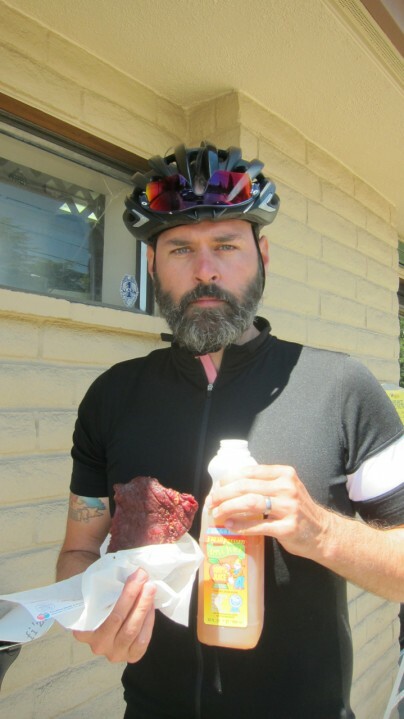 He bought some of their BBQ jerky and locally-produced apple juice from Gizdich Ranch (his dad was a big fan of their pies.) 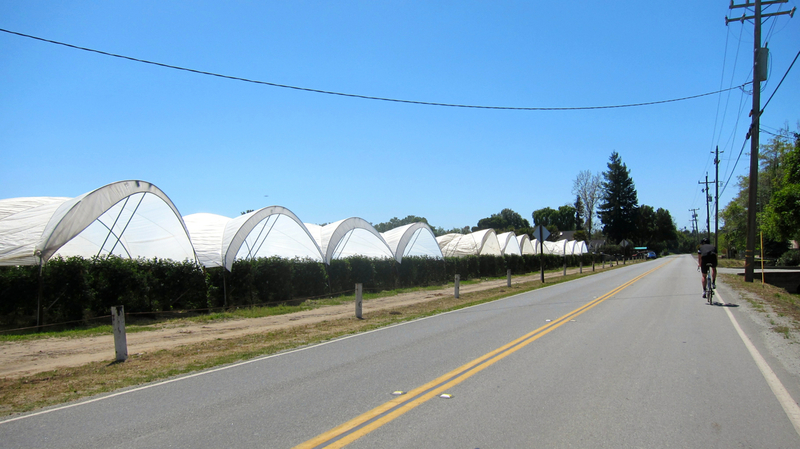 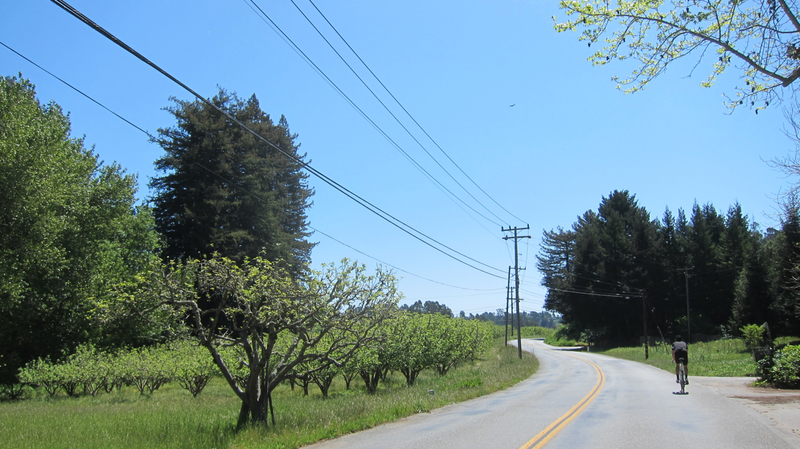 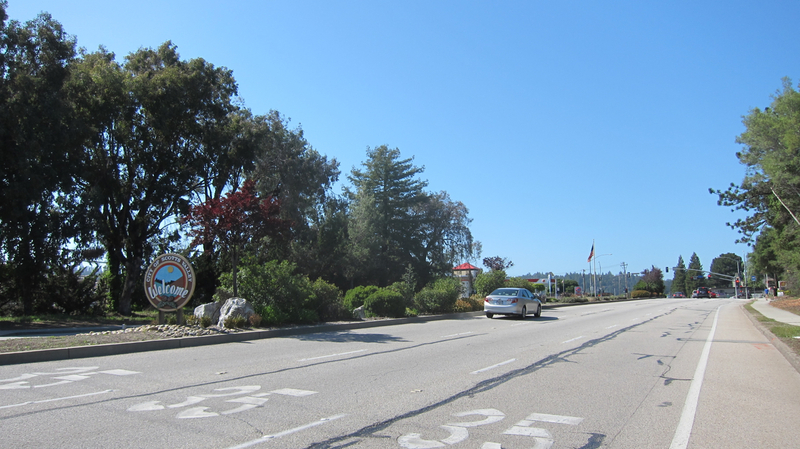 We also cruised through the Monterey Bay towns of Aptos, Soquel and Santa Cruz before our final climb on Glen Canyon Road back to Scotts Valley. 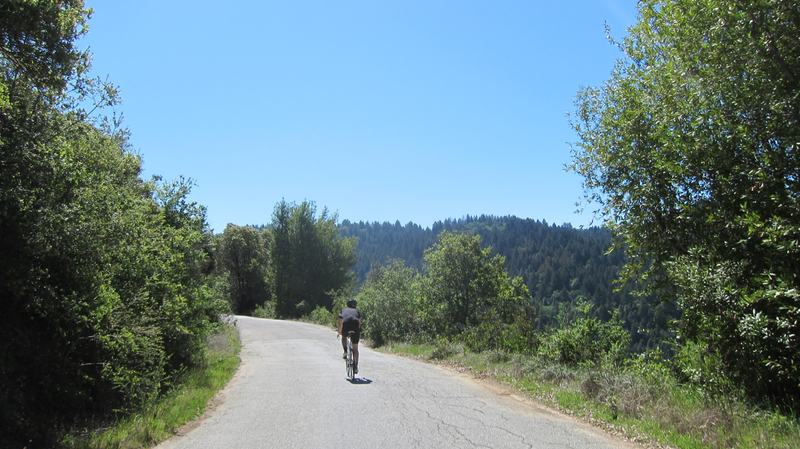 Another spectacular day on the bike and my last long ride until this weekend’s Flèche team event!